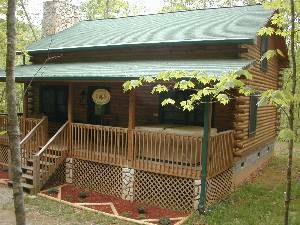 This newer two story log cabin will be a delightful part of your "Smoky Mountain Vacation". 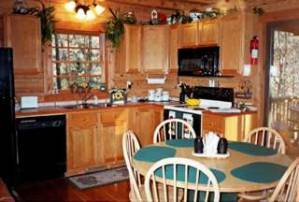 You will find it beautifully decorated with all the amenities you would ask for,including a hot tub, leather furniture, & gas logs for the fireplace(w/remote control). 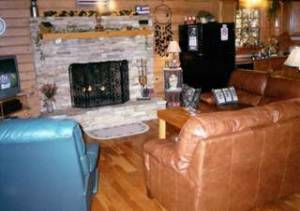 We believe you will enjoy the stack stone fireplace, hardwood floors, & 3 TV"s (all hooked up to Satellite). 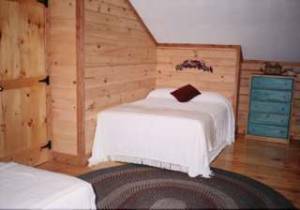 You will find our cabin to be immaculate. 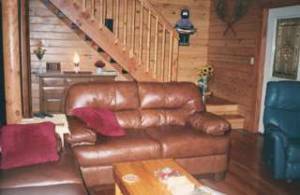 This cabin has "Easy Access" with privacy & solitude (nestled in a wooded area). 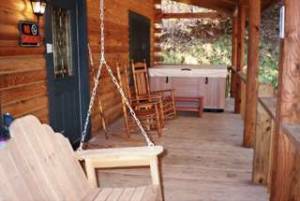 You will enjoy the fresh mountain air from the two porches (from the rockers, triple porch swing, hot tub, & picnic table area while grilling). This is a good size cabin with @ 1700 sq. feet (including porches). We are centrally located. 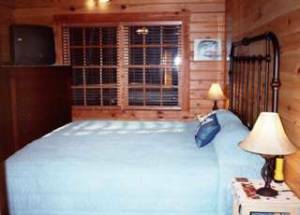 Therefore, close to nearby activities, attractions & grocery stores (i.e.Ingles Grocery Store @ 6 miles away).... "Brochure's are provided in the cabin". TAKE A STEP BACK IN TIME & ENJOY AN AREA WHERE TIME HAS STOOD STILL. YOU CAN'T AFFORD TO MISS THIS CHANCE to spend time @ "The Other Place"
WE ARE MOTORCYCLE ENTHUSIAST FRIENDLY!!!!!!! The rates in this ad are for up to 6 people (based on time of year &/or number of people coming). 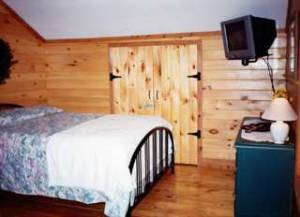 If over six people, an additional charge of $50 per week/per person will apply(must not exceed 8 people) "NO CLEANING FEE AS LONG AS CABIN LEFT IN GOOD SHAPE"
Deposit: A $300.00 Reservation/Security Deposit is Required. This deposit will be refunded within 21 days after your departure, providing there were no damages incurred during your stay, the house is left in good shape, & the number of people does not exceed the amount agreed upon & shown in your confirmation letter. Cancellations and Refunds: In the event of a cancellation, with less than a 30-day notice, the deposit will not be refunded unless we can find an alternate tenant for the same days/time frame. (See add'l. inf. under the "Deposits Section"